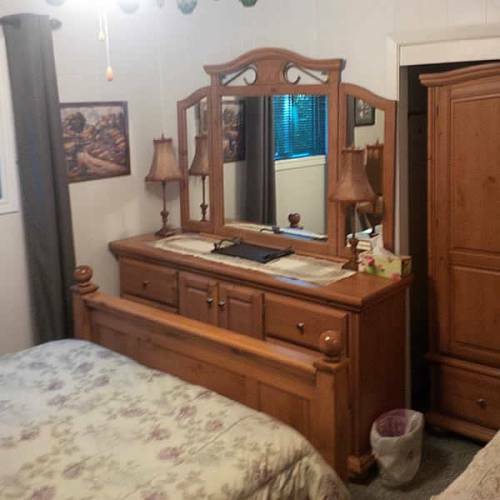 Main floor bedroom has a queen bed and is located just off the kitchen. 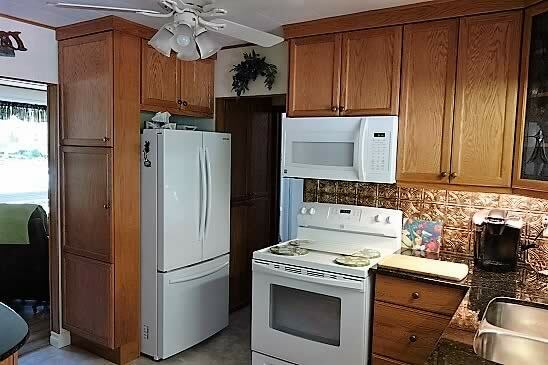 Next to the kitchen is the laundry/utility room with washer, dryer, water heater and softener. 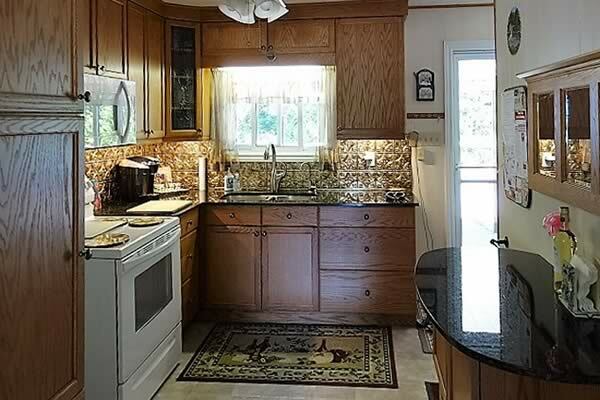 The bathroom is off the kitchen next to the pantry. A large living area has all leather furniture and large screen tv. The dining room sits six comfortably and overlooks the livingroom area. Upstairs leads to two spacious private bedrooms, one with a double bed, and two singles in the other with a common area between. 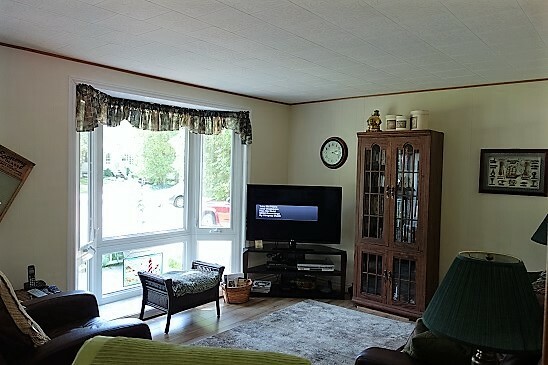 Here, a couple of comfortable recliners and wicker cushioned chair are positioned in front of the large television with VCR/DVD player, making a private space for watching something completely different than the main floor television. Free Wifi throughout. 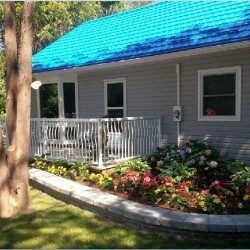 Grounds are fully maintained with an irrigation system and lawn maintenance. Firewood is supplied and also a large BBQ. 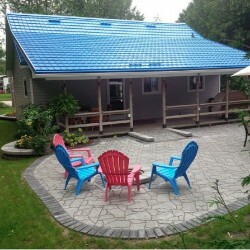 The cottage has been fully renovated with new windows/doors/steel roof/kitchen/flooring and more! 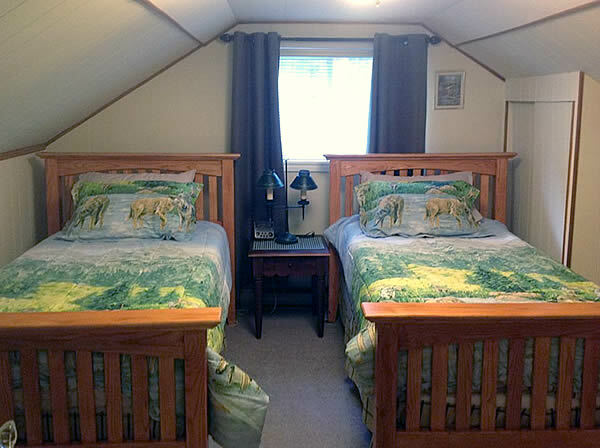 This is a very clean cottage so we do ask our guests to respect it and leave it as clean as what it was left for you upon arrival. 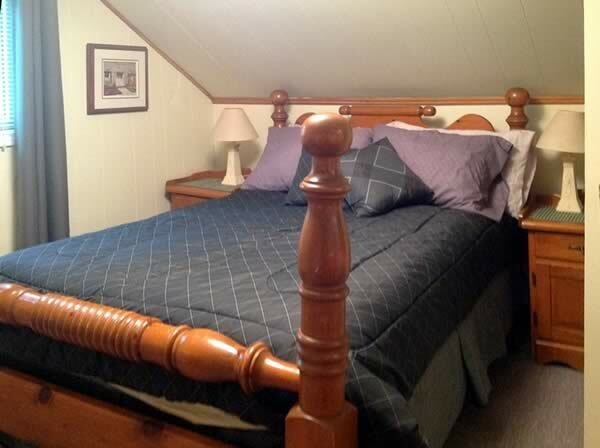 Bedding and linens can be supplied for an extra fee.